The Sierras have a rich history — as the gateway to the west, as the home of the Gold Rush — and, with its abundance of forest land, it should come as no surprise that the logging industry plays a significant role in the shaping of today’s Sierras. 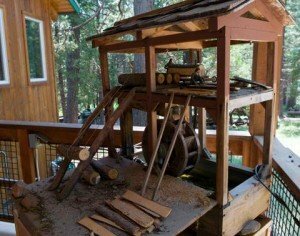 The Sierra Nevada Logging Museum endeavors to accurately and clearly convey the history of the logging and lumbering industry as it evolved in the Sierra Nevada region since the mid 1800s before the discovery of gold to the present day. It educates visitors about the economic, social, cultural and environmental effects of this industry on the development of communities in the Sierra Nevada and acts as a resource center for education and historical research. The museum also describes current trends in the Sierra Nevada logging and lumber industry, and the social and economic influences that continue to shape it. The Sierra Nevada Logging Museum keeps the history of the logging industry in the Sierra Nevada region alive so that its historical relevance is not lost.